My name is Julie Mitchell, and I own Paradox Art Glass. 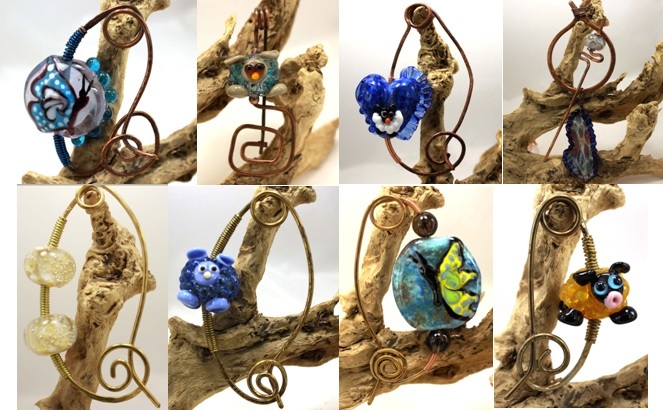 I am a hot glass and metal artist, and make handmade art accessories for crocheters, knitters, weavers and other fiber artists. Among other items, I make handmade glass and metal shawl and scarf pins. Handmade shawl pins are a great way to finish your handmade crocheted or knitted garment in artistic style! Lampwork beads are handmade by me in my private studio, and are properly annealed in my digitally controlled, fire brick kiln. Shawl pins are handmade and hand-forged by me from raw materials as well.